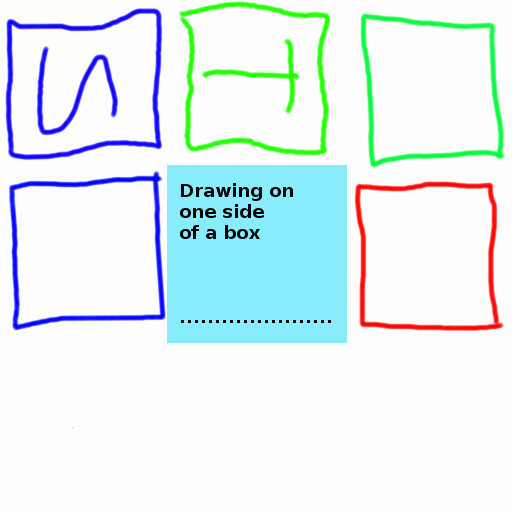 Is it possible to create a cube with pictures on each side. I have tried but don't seem to be able to paint a different picture on each side. Anyone have a pointer for this newby? And Hi, welcome to the forum! Sorry for delay. Other stuff happens when you want to get on with something. Sure, the way I would do that on a much more complicated model than a cube is to sketch the texture layout on the model in Curvy, then save the scene, edit the texture and reload onto the model. 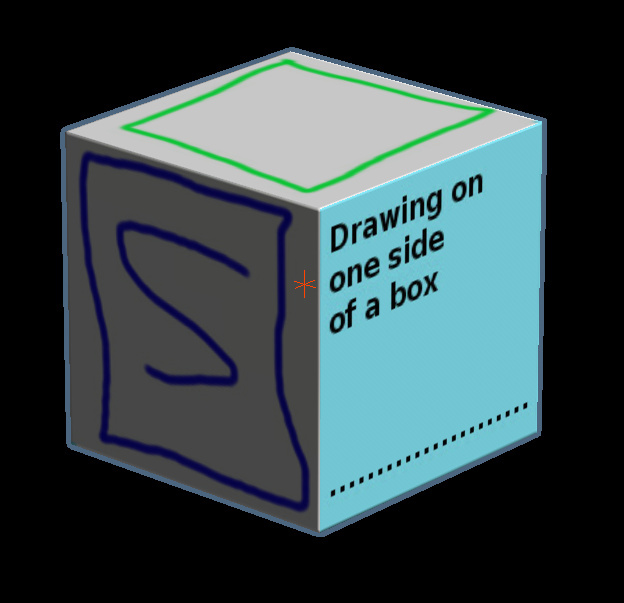 eg: For the Cube, "Texture Menu, UV Unwrap" then I drew on the sides of the cube, and edited the resultng picture in a 2D app. To be fair, for something as lowres and "boxy" as a cube you will get better results unwrapping and texturing in a program that specialises in low-poly modelling, Blender works well. Then you can always import OBJ models back into Curvy ready uv/textured to use in scenes. I had already done an outline on each surface but wanted a bit more detail. I was not aware of editing the texture so will look at that. I came to curvy because its the only tool I have found that delivers cubes with bevelled edges. You can also save a bevelled cube from Curvy as OBJ and load it into other 3D programs. Might be handy. Tried to get to the texture. I found a BMP which looked ok but after editing and opening it in curvy it just disappeared. Would you be willing to give me a step by step guide to getting the texture exported to a BMP or similar so I can edit it with another tool and then reimport it into curvy so it replaces what was on the cube? I also created a bevelled cube and exported it as OBJ and loaded it into Blender but the bevel was lost. BMP comes in a few variations, Curvy uses 24bit BMPs. But for simplicity you can save as JPG instead. The bevel appears well in Curvy because of the way the shading works, thin quads on the edge appear to be rounded edges. To make a nice bevelled cube in other software you can start with a sphere - and move half the verts to make a rod with rounded ends, then select the bottom half to make a flat rectangle with rounded edges, and finally move the back edges to make a cuboid with the nice rounded edges and corners from the original sphere. And once you'de made it once you can save and reuse wherever you need it. Of course you can follow those same steps in Curvy too, but for the cleanest geometry I would start with a mesh in a traditional 3D program, with faces and vertices. Ok I managed to create my first bevelled cube with the details I wanted on each surface. I then wanted to make a copy of the cvy and BMP files and change details as contained in the BMP. That did not work. Somewhere in the cvy file is a reference to the original BMP file name. Would you be able to advise on how I may achieve this copy edit process? 2) In Curvy select the cube and right click the image thumbnail where it says "Base Colour" and choose ImageCopy.BMP as the new image to link to this object. Alternatively, any painting or editing of the texture will automatically copy the image into a new location when you save the CVY. Thank you very much for your response and patients. I now have enough information and a process to follow so can continue on my way to develop the objects I need. No problem, hope your project goes well.